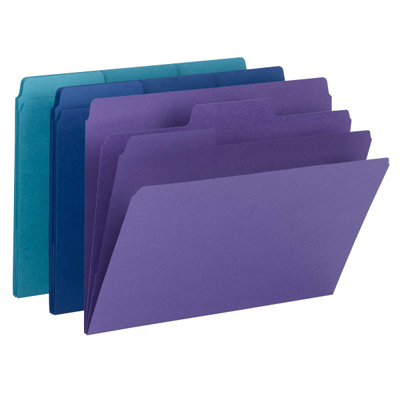 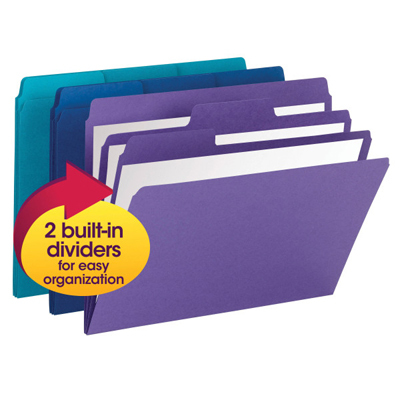 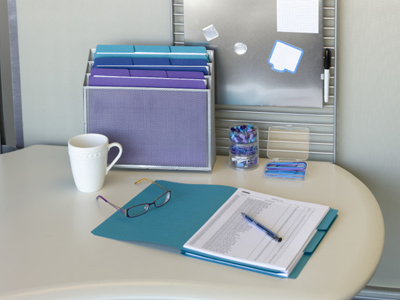 A whole new way to keep multiple projects and loose documents separate and organized. 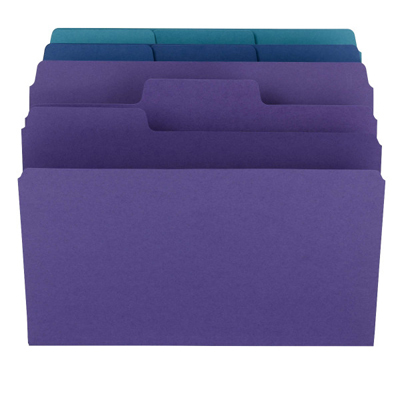 Dividers create multiple individual sections within a larger file. 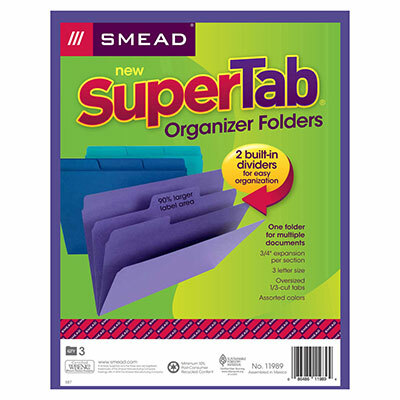 Each section expands to 3/4" for extra capacity. 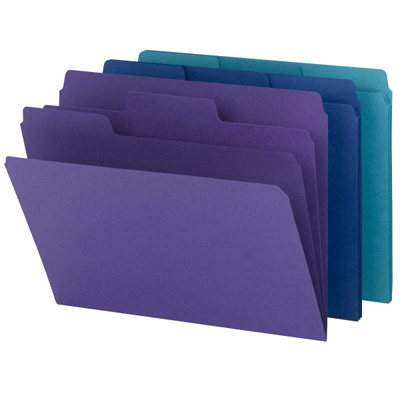 For added security, use with a file pocket or expanding wallet. 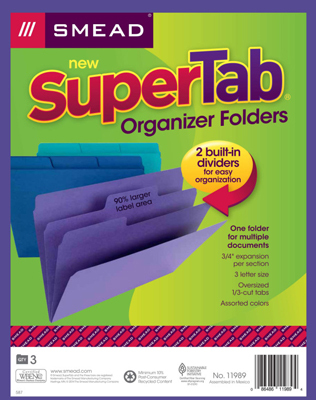 Also available with SuperTab oversized tabs!